Come and experience our Blacksmiths forging hot metal over the forge, using tools to hammer, bend and cut to produce objects such as sculpture, tools, agricultural implements, decorative items, cooking utensils and much more. Our blacksmiths operate most Sundays and on event days. 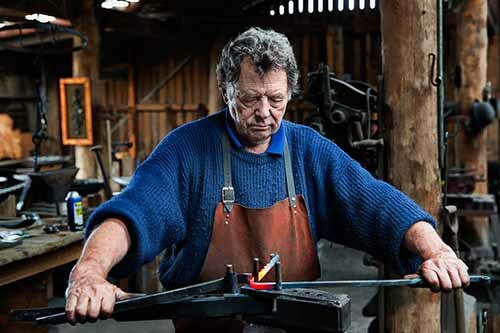 The Australian Blacksmithing day is an annual event held in October staged at the Mont De Lancey Homestead. To check the date, click here to visit the Blacksmithing website.